In this chapter, the role of the Black Sea Commission in the preservation of marine environment will be considered. 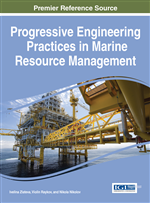 Particular emphasis will be placed on the activities related to management of the marine living resources, the legal gaps in the documents and institutional structure, as well the current trends and challenges on the regional and global level. An overview of relevant Black Sea Commission's observers and partners will be provided; existing and possible future arrangements with them will be further described and analyzed. Some concrete recommendations on the improvements in the management of marine living resources in the Black Sea basin will be proposed. Before coming to controversies and challenges on the way to sustainable management of the marine living resources in the Black Sea basin, I would like to make an overview of the activities and role of the Bucharest Convention as one of the European Regional Seas Conventions and single treaty which united the efforts of all Black Sea riparian countries towards the protection of marine environment of the Black Sea. The basic objective of the Convention on the Protection of the Black Sea Against Pollution or so called Bucharest Convention was formulated as follows: “to substantiate the general obligation of the Contracting Parties to prevent, reduce and control the pollution in the Black Sea in order to protect and preserve the marine environment and to provide legal framework for co-operation and concerted actions to fulfill this obligation”.